BUILD YOUR FLEET WITH A TRUE PARTNER. We service and repair all equipment prior to sale creating the safest, highest quality and most value for purchase. We purchase equipment proactively to ensure we either have what you need when you need it or can source it quickly. 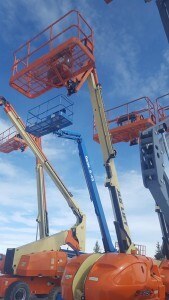 We offer customization to get the right equipment for your job. You always talk to a decision maker who can help you find the best equipment for any job and any budget. I haven’t ever bought anything sight unseen or out of state before. Josh threw on a complete bumper to bumper warranty for 48 hours to allow me to look over it and a 30 day parts warranty. I would definitely refer Josh and Coast to Coast Equipment! They easily get all 5 stars!